Charlie Roach primarily focuses his practice on business immigration and employee drug and alcohol testing. He has extensive experience representing and advising employers in all areas of immigration, including temporary employment visas, labor certifications, permanent residency ("Green Cards"), immigration compliance and employment eligibility verification (Form I-9) issues. He provides counsel on immigration issues related to employment decisions, company policies and procedures, mergers and acquisitions, government audits and investigations, and labor law disputes. Charlie represents a wide variety of clients – from large multinational corporations to small employers to individuals – with regard to their immigration needs in such industries as financial services, information technology, insurance, health care, manufacturing, retail, engineering and other fields. Another area of focus for Charlie relates to federal and state drug testing issues, including Department of Transportation (DOT) regulated programs and developing drug and alcohol testing programs in all 50 states and Puerto Rico. He also has significant experience counseling employers and representing public and private entities at the federal, state, and administrative levels. Charlie has spoken at numerous seminars and trainings and written articles on immigration law and drug and alcohol testing issues for employers. Prior to joining FordHarrison, he was a partner in Rider Bennett's Business Department and Chair of the firm's Labor & Employment Practice Group. 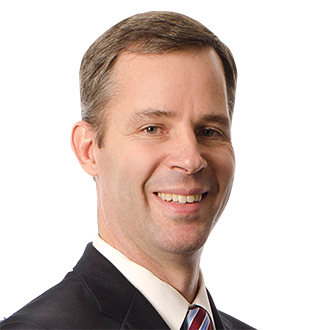 Earlier in his career, Charlie served as a judicial clerk for the Honorable James C. Harten of the Minnesota Court of Appeals.Before law school, he lived in Southeast Asia for two years and worked for an international law firm in Jakarta, Indonesia. During law school he was a member of the Minnesota Law Review and the International Moot Court. Outside immigration counsel for numerous multi-national and multi-state corporations, handling high-volume immigration filings for nonimmigrant petitions (H-1B, L-1, E-1/E-2, TN) and permanent residence, including PERM applications, immigrant visa petitions and applications for adjustment of status. Developed immigration policies, procedures and best practices related to Form I-9, immigration sponsorship, E-Verify, SSA "no-match" letters and the like for clients in the manufacturing, construction, retail, information technology, and health care industries. Conducted internal Form I-9 audit for several large, multi-state employers with manufacturing facilities across the country and provided I-9 training for human resource personnel. Represented and counseled employers subject to worksite audits, enforcement actions and other legal proceedings by U.S. Immigration and Customs Enforcement, U.S. Citizenship and Immigration Services, U.S. Department of Justice, Office of Special Counsel and U.S. Department of Labor Wage and Hour Division. November 24, 2014 - How Will Obama's Immigration Actions Impact Employers?